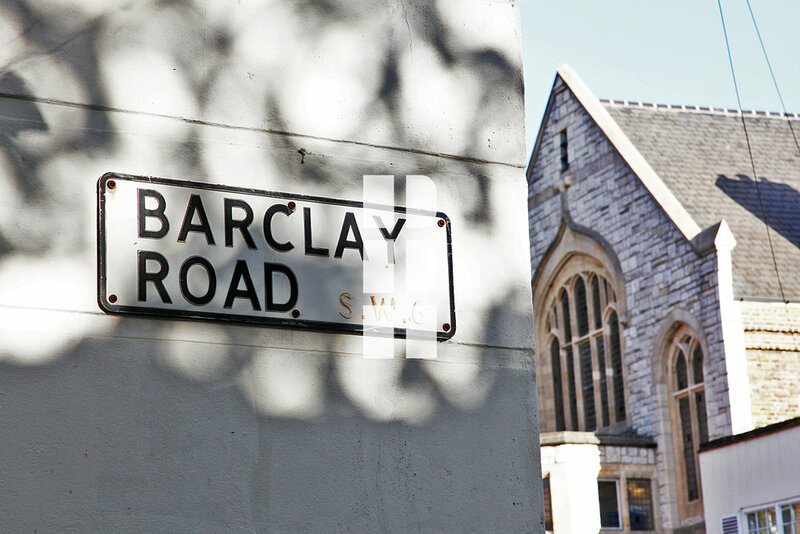 Barclay House B&B is located in west central London, just off the Fulham Road. Our neighbourhood is on the busy north bank of the River Thames, the side with all the must-see London attractions. Better yet, our local area is full of great places to drink and dine. 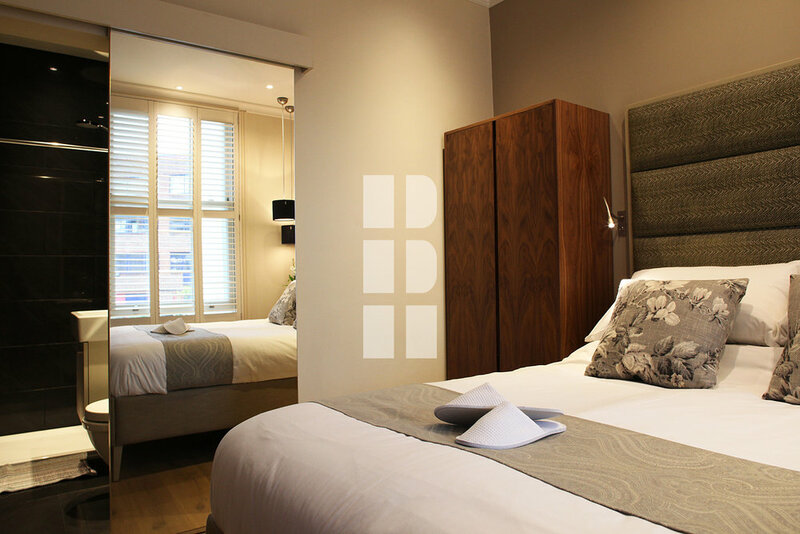 Our B&B in central London is the perfect place for both long and short city breaks. Whether you are in London for work or leisure, our boutique B&B is suitable for anyone looking for an elegant, relaxing and comfy night’s stay. Our B&B is almost like a hotel in Fulham (of which there are too few!). (District Line--green--two stops below Earl's Court tube station). From Fulham Broadway tube station (the green-coloured ‘District Line’) you are just a short 5-20 minute tube or red bus ride to everything that is anywhere in central London. We are a 2-minute walk from Fulham Broadway station. 1. Turn RIGHT out of the station onto Fulham Rd. 2. Walk 100 feet to the intersection of Fulham Rd and Harwood Rd. 3. Cross over to Centini Blowdry Bar, corner of Effie/Harwood Rd. 4. Walk down the small side street, Effie Rd, passing the El Metro restaurant on your left. 5. Turn right onto Barclay Rd. Five-star, boutique luxury B&B with just the right extras for the discerning, urban traveller. Our stylish and modern guest rooms with ensuite bathrooms are fully equipped with the latest in award-winning design; Channels custom-designed walnut furniture, Robert Langford custom-made beds and award-winning Philippe Starck ensuite bathrooms. You'll enjoy elegant, boutique guest rooms rich in luxurious, high-tech comfort. Seasoned travellers appreciate our attention to detail. You’ll find a great experience in a myriad of small details at Barclay House London: freshly pressed 600-thread count linens, orthopedic mattresses by Tempur or Beautyrest, hypoallergenic pillows, true double-door closets with “no fumble” clothes hangers, large working sash windows with wooden plantation-style shutters and plenty of sunshine, extra long desks with plenty of surface for your maps and devices, USB ports at desk level, secure highest speed WiFi, bedside tables with drawers, oak flooring, energy efficient lighting and heating throughout. Ensuite bathrooms in our luxury B&B in London are designed with guests in mind. There is plenty of surface space to stack all your toiletries. Award-winning design means Philippe Starck Axor fixtures, granite and mirrored surfaces, heated towel rails, Hans Grohe rainforest power-pulse showers, salon-grade 2200 Watt hair dryers, waffle cotton bathrobes and slippers. Whichever room you stay in, you’ll enjoy the British tea tray, modernised. Enjoy a ‘light breakfast to go’ from our self-serve coffee bar, located just outside your guest room door. Take your pick of fresh ingredients for a quick, energising start to the day; fresh orange juice, a cup of espresso from the Nespresso capsule machine, finest cereals, or hot toast with butter and jam. Place on a serving tray to enjoy in your room, or in front of the map wall planning your day’s adventures. For those who prefer a more hearty, hot breakfast, locally known as a “British fry-up” try one of several local cafes just around the corner. We often host visiting musicians, singers and conductors, and our Seiler grand piano is available by arrangement. Large-surface work desk. USB ports at desk level.